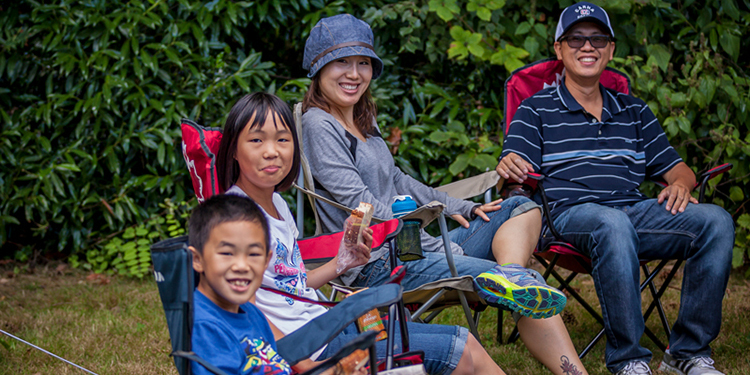 A Richmond family taking part in social connectedness and healthy eating. Richmond’s first Community Wellness Strategy was introduced in 2010. Now, the city is looking for public input in hopes of building on the plan’s success. Developed in partnership with Vancouver Coastal Health and Richmond School District, the city’s draft Community Wellness Strategy 2018-2023 takes a collaborative and holistic approach to improving wellness for local residents. It supports council’s vision to enhance accessible programs, services and public spaces that reflect Richmond’s demographics, rich heritage, diverse needs and unique opportunities, and that facilitate active, caring and connected communities. The ways to continue the conversation are to drop in to one of two public open houses to view the draft Community Wellness Strategy 2018-2023 and complete the online survey. The survey is available from June 11 through June 24. Open houses are Wednesday, June 13 from 6:30 to 8:30 p.m. at Richmond Public Library’s Brighouse branch, 100-7700 Minoru Gate, and Saturday, June 16 from 1 to 4 p.m. at Minoru Place Activity Centre, 7660 Minoru Gate. The draft Community Wellness Strategy 2018-2023 was adopted by city council May 14 for the purpose of seeking stakeholder and public validation, and the final phase of the project is now being worked on. Community input received will be assessed and used to finalize the report that will be presented to city council at a later date.